Leaked Alleged Call Recording of Kris Aquino Threatening Nicko Falcis: “Ipapapatay ka ng pamilya ko"
Kris Aquino went viral for the nth time, this time in a more critical situation. Late last year, news broke out after she filed a case against her former business partner, Nicko Falcis, brother of Duterte critic, Atty. Jesus Falcis. The labeled as “Queen of Social Media” revealed to Falcis that she has “Lupus” wherein the latter can be heard surprised and uttering his repeated “sorry” for what he calls “Madam”. Kris then can be heard cursing Nicko out of anger. She then threatens Nicko that when she finally gets her diagnosis in Singapore where she is taking her medical help, she will tell the Philippines (pertaining to Filipinos) what is wrong with her and insists that the entire country trusts her. In the conversation, the actress accused Nicko of stealing money from her son. Recently, Nicko broke his silence, disclosing Aquino’s alleged funding of Anti-Duterte articles through Facebook boosts. The actress rebuts by telling the people that such deed was done in order to spare her brother, former president Benigno “Noynoy” Aquino with hate and negative critics from netizens. Screenshots of conversations in a Viber group called “Resibo Group” with members Aquino, Falcis, and Jover Laurio leaked beforehand. 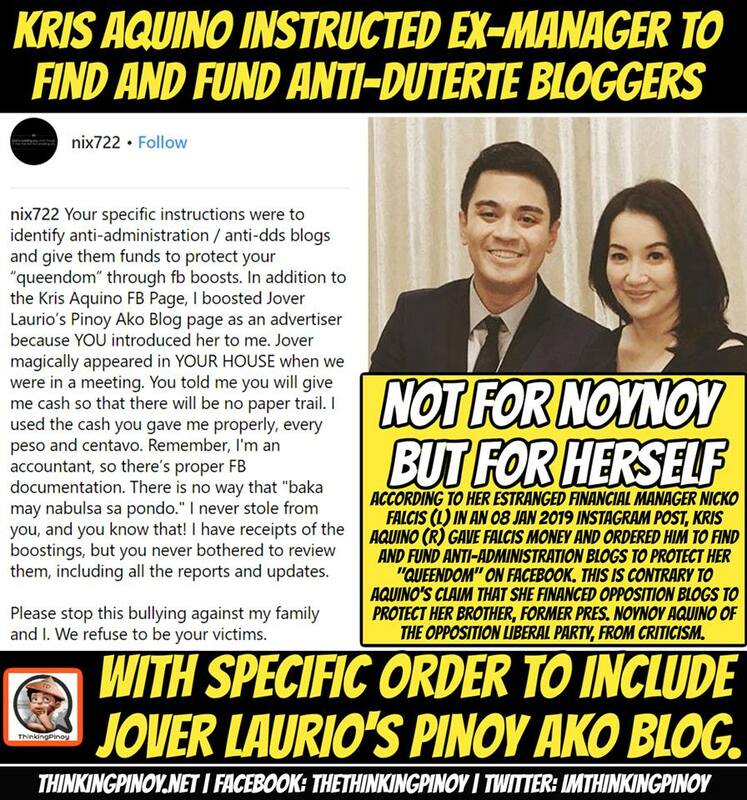 Jover Laurio, blog owner of Pinoy Ako Blog was also under hot water after involvement with Aquino’s alleged underground tactic against the current administration. Falcis welcomed an interview with ABS-CBN’s News Program ANC where he shared his one year experience of having business with Kris Aquino and how things went sour between them. 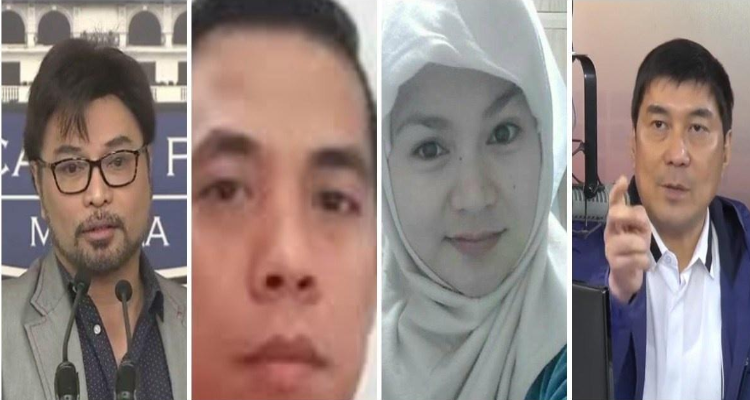 Charlie Lozada, a tricycle driver together with his 5 kids came up to Wanted Sa Radyo, Raffy Tulfo’s program to seek help regarding his Saudi-based OFW wife who is allegedly having an affair with a Pinoy engineer in Saudi Arabia. 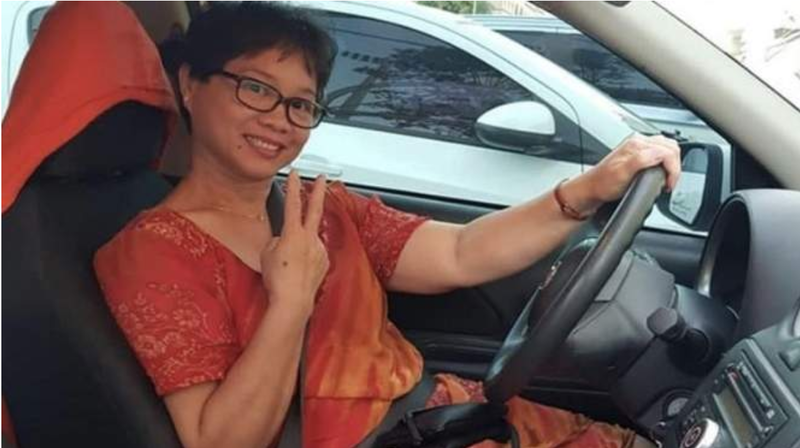 Sheerlyn Gerasta, wife of Charlie went overboard after declaring that she chooses her new boyfriend over her family after her eldest son makes her choose between the two parties. Raffy found the insult offensive for the poor man. Instead of being sincere and grounded, Edwin even turns more boastful and full of pride which irked Arnel Ignacio, OWWA Deputy administrator. He felt empathy for the 5 kids who are crying on the booth and to the helpless father trying to get back his wife. He then threatens to use all his connections to find the location of the two having illicit affairs and have the deported and jailed. Ignacio says that people like Sheerlyn and Edwin were the kinds that ruin the reputation of Filipino OFWs in general. Arnel promised Charlie to give all the help he needs in order to have the two deported. Raffy seconded and plead to help too with all the necessary actions needed. On the other hand, Sheerlyn seems to have no plans of fixing her family issue despite her kids asking for. In the end, Tulfo still asks Charlie if he is willing to compromise or push through the case against the two. The driver insists of pushing through the claim as he does not see sincerity and willingness from them. He chose to deal with Edwin’s challenge. It is a never-ending battle when people chooses between their “wants” and “needs”. Most of the time, their penchant for choosing the wrong thing for their life remains harmless. However, there are times that they endanger themselves by “wanting” to have what they can’t. 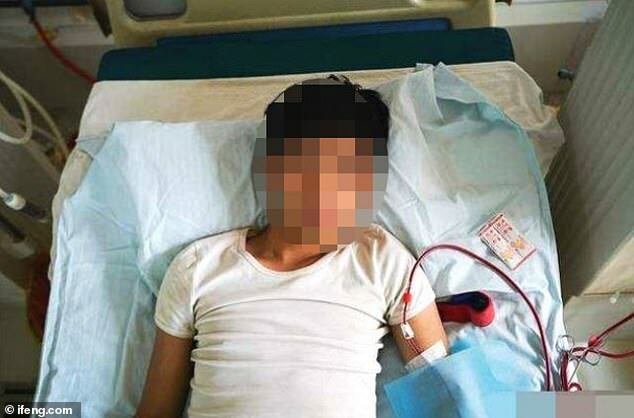 Take this 25-year-old man from China, only known as Wang, who learned his lesson the hard way. When he was just 17, he wanted so badly to be the cool kid in school. But he knows that his parents wouldn’t be able to afford it so he found a way to feed his desperation. He found a middleman in the internet who helped him sell his right kidney. He got 2528 Euros which he immediately used to buy an iPhone 4 and an iPad 2 in 2011. In April 2011, he had traveled from Anhui Province to meet his middleman who introduced him to two surgeons. His travels were discreet because his parents cannot know. The clinic where the operation was done turned out to be uncertified and a major threat to the boy’s life. Before going back to their hometown, he immediately bought the gadgets he desperately sought for. When his mom asked where he got it, that’s when he admitted that he sold a kidney, His mom immediately called the police. In April 2012, nine people who were involved with the case including the two surgeons and 3 middlemen were charged by public prosecutors in the city of Chenzhou. The middlemen were jailed for five years and the surgeons for two. The Wang family got 1.47 yuan as compensation. Seven years after the operation, Wang is surely regretting his actions. It turned out, his other kidney is not healthy, or it wasn’t able to take the shock. Wang had renal failure and had to undergo regular dialysis. Later on, he became disabled because of the infections he incurred from the operations. There was a time when travelling to Baguio means having to stop at several stop-overs to eat, but mostly for passengers to use the toilet. With the advent of buses that has it’s own toilets, travelling to Baguio means fewer stop-overs and faster travel time. If you add comfortability and Internet technology to that, it’s a ride of a lifetime! Netizen Clarence Estandian Inso couldn’t hide his appreciation over the bus he rode going to Baguio recently. 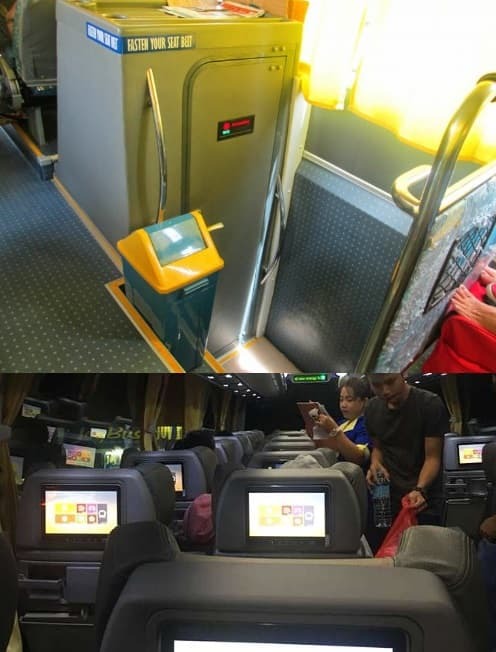 He felt the need to share it on social media so that his fellow netizens can see how comfortable the ride was and how high-tech the public vehicle is. The amazing bus can accomodate a total of 28 passengers, which makes it very comfortable inside. Each seat has it’s own TV monitors, where passengers can watch TV shows or movies. It’s reminiscent of the seats we have when we travel by plane, complete with it’s tray table and cupholders. 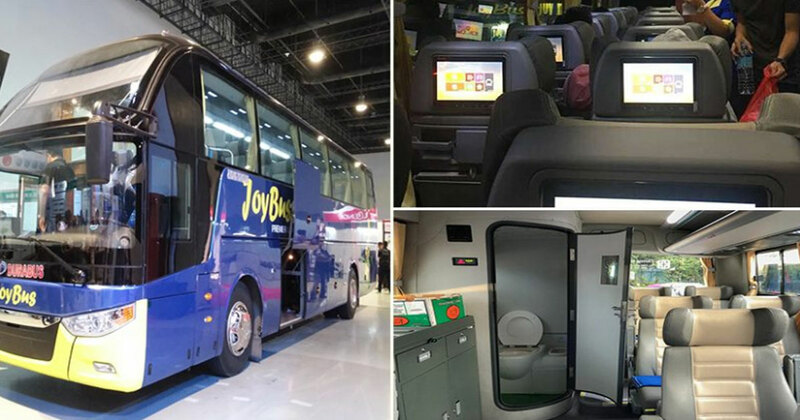 Aside from its advanced and comfortable seats, the bus is equipped with its own internet, so you can stay online even during the journey. If you have with you your own headset, then you can easily enjoy the movies as well as the music they offer to passengers. What makes this bus so impressive is that for a little additional fare, you will have the opportunity to experience convenience that other buses do not offer. 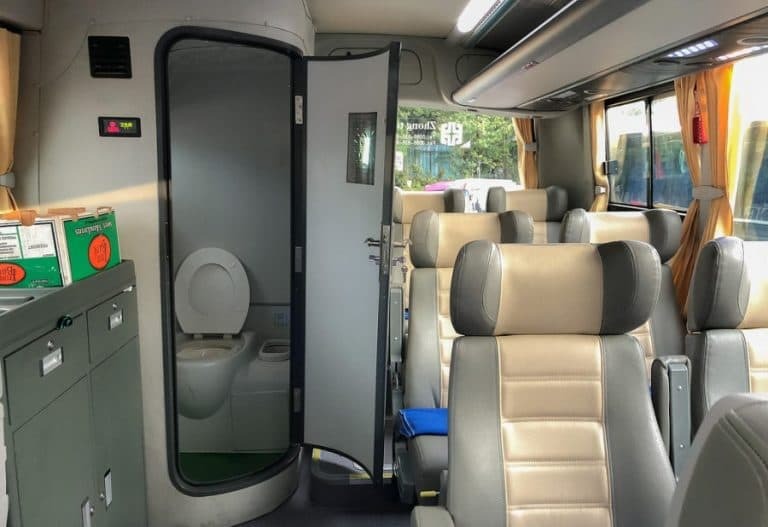 It has its own built-in toilet, which means no more stopping in restaurants for toilet breaks. It also means that passengers can expect to arrive in Baguio faster because of less stop-overs. 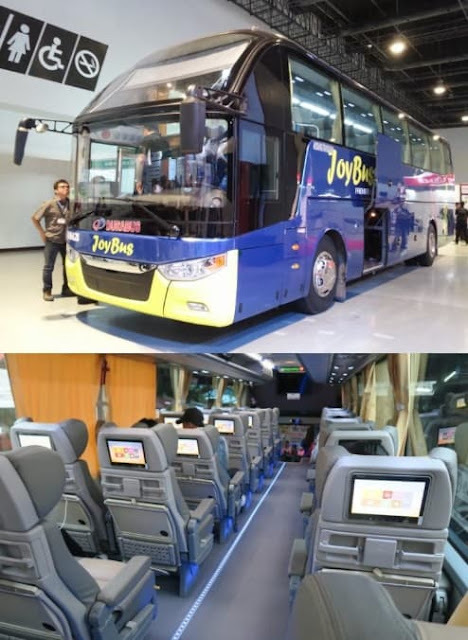 The trip to Baguio using this high tech bus is pegged at Php730, which can be considered a good deal if you take convenience into consideration. You can catch this bus at their terminal in Avenida. Holidays and rare occasions are sweet and memorable if shared with our beloved family and friends. Apart from good laughs, sumptuous foods, stories shared, alcohol drinks keep the bond of the group. However, alcohol intake is always advised to be taken lightly. Like what we often hear from the adults, an excess of anything is bad. On the recent holiday season, certain games went viral on Facebook that made every gathering have tried on. Games and challenges with corresponding paper monies became common to every program just to instill fun. 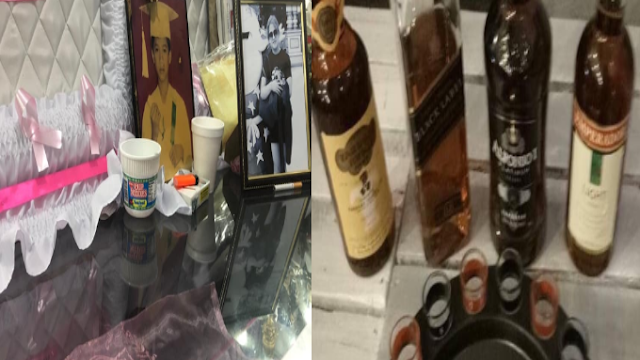 One, in particular, is the alcohol challenge wherein various alcoholic drinks were laid on the table. Every kind has corresponding money that one would definitely get after he or she bottoms up the liquor served. However, this kind of game isn’t advisable to many for it might lead to some serious problems. A Facebook netizen, Ice Ignacio took to social media the knock of adversity to his childhood friend after alcohol intoxication. His friend passed away last December 31, right on the exact time where everyone gathers up to meet the new year coming. 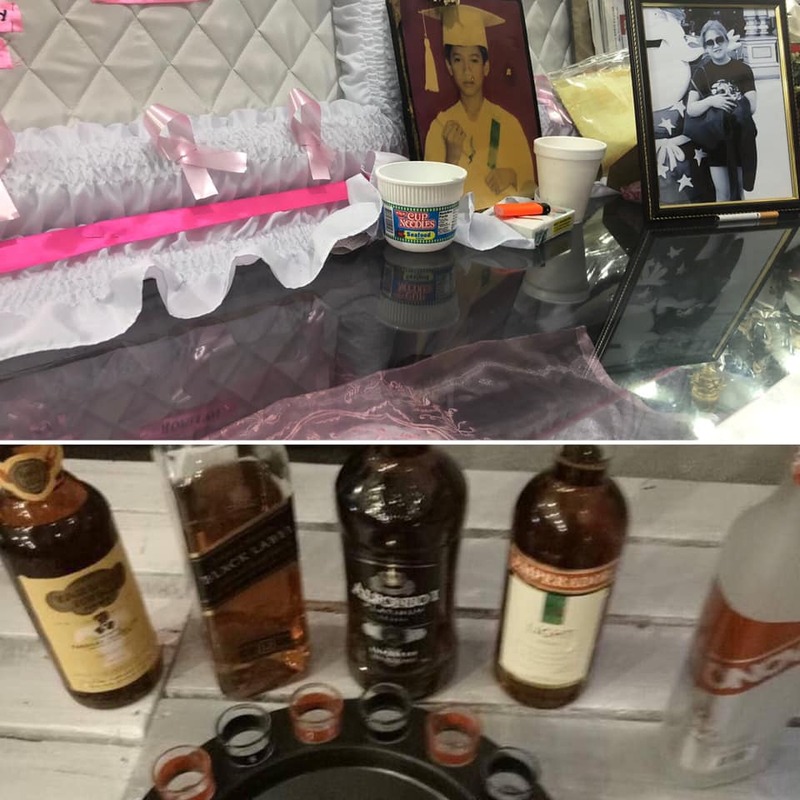 The netizen shared that his friend joined such game where alcohol shots corresponded with money. Luckily he won but didn’t see the upcoming exchange of fate. In the picture are various heavy drinks such as Emperador, Alfonso, Tanduay, and Black Label. The very reason why Ignacio made such post is to create awareness that excessive and mixing hard drinks at a time isn’t advisable. Little do we know that it might inflict to some serious health condition or worse lead to d3ath. On the other hand, he wishes peaceful rest for his dear childhood friend. Netizens were quick to spread the word and awareness with their friends. Some send their sincere condolences to the uploader. Guys, share ko lang cause of death nya pra aware din kayo and maiwasan. He died due to alcohol intoxication last Dec 31. Yung pa-games na iinumin mo yung mga alcohol shots with corresponding money. He won that game pero eto yung kapalit.. 😞 lahat kami nabigla. 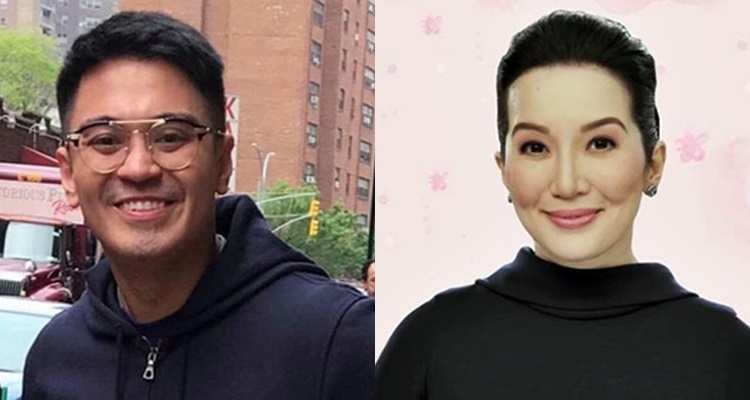 After months of keeping mum in regards to the alleged stolen million peso fund from Kris Aquino versus Nicko Falcis, the latter bravely brought his side to the social media. In his recent Instagram post, Kris’ former financial manager disclosed his side of the story when he was instructed by the actress to identify anti-DDS and anti-administration blogs and fund them in order to protect her so-called “queendom” in social media. All through Facebook boosts. The actress recently answered an irate netizen regarding her involvement with funding anti-duterte Facebook pages despite being vocal about supporting the president and his ideals. Aquino admits of the involvement only to protect her brother, former president Noynoy Aquino from criticisms. Facebook page Thinking Pinoy believes that such da esperate act from Kris Aquino isn’t a move to protect Pnoy but to herself and her “Queendom.” Netizens, however, noticed how the mainstream media keep mum about the issue. 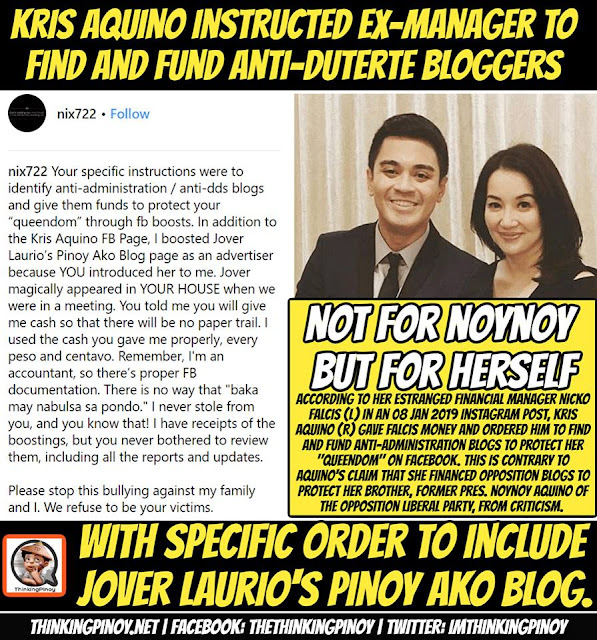 Kris Aquino's estranged financial manager Nicko Falcis, in an 08 January 2019 Instagram post, said she gave him money and ordered him to find and fund anti-Rody Duterte blogs to protect her "queendom" on facebook. This is contrary to Aquino's earlier claim that she financed opposition blogs only to protect her brother, former President Noynoy Aquino, from criticism. The Aquino Political Dynasty is heavily identified with the opposition Liberal Party. A lot of Filipinos are risking the odds and trying their luck in working outside of the country. The odds are 50%, there will be a chance that the employer that they will get is abusive, but there is a chance that they'll end up getting lucky and having kind-hearted and generous employers. 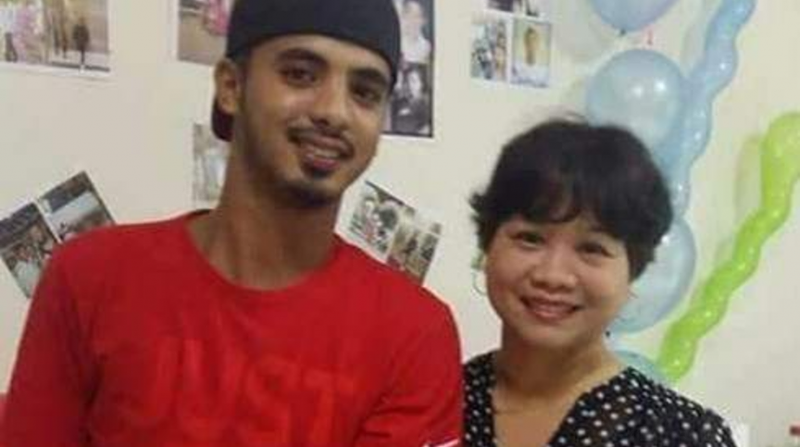 One such OFW is 47-year old Dina Tenerife Celo who is a domestic helper in Abu Dhabi. She ended up with a kindhearted employer who treated her like family. 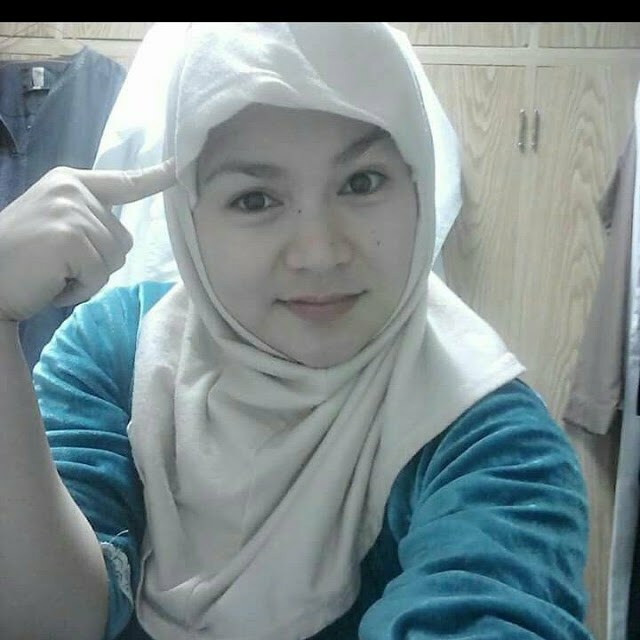 Back in 2017, her employer, Melissa McPike who is an American married to an Emirati gave her Dh23,000 or P328,300 to buy a lot in her hometown in Camarines Sur, Philippines. It didn't stop there. The employer also made sure that the construction cost is well taken care of. In no time, Dina's 2bedroom house was done and completed, all thanks to her employer. Melissa said that they didn't treat Dina as an employee but as a part of their family. 'It was the least she could do for Dina by helping her own her dream home. We do not consider her as an employee. She is one of our family. She has done so much for me and my children when they were young. I wanted to give back something to her." The generosity of the employer did not stop there. 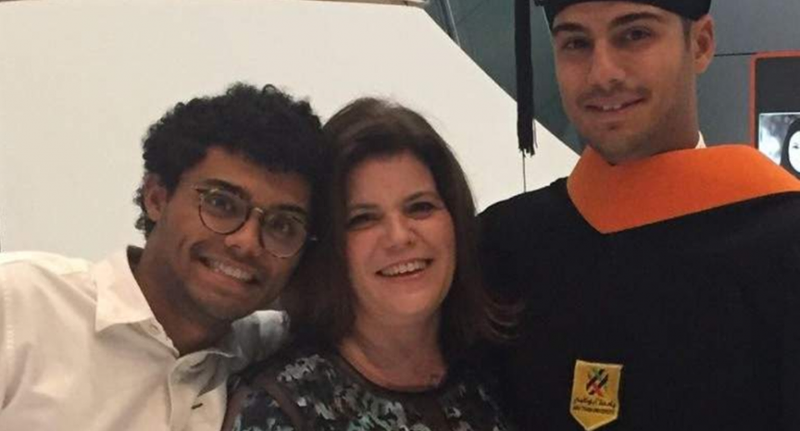 Dina's son is working in the United Arab Emirates, and she spends her day off taking 2 buses to reach her son so they can spend time together. However, with the recent rerouting that the buses had to take, Dina ended up having to take 5 buses just to get to her son. Taking pity on her, the employer decided to give her a car! What a lucky OFW! "She (Melissa) always sees me chasing after the bus to visit my son who lives in another part of the country. It normally takes me two bus rides to pay him a visit which can prove to be tiresome. I am very thankful for this present. After the rerouting in December, what used to be two bus rides now turned to five."